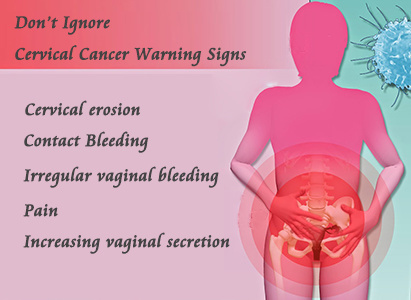 Cervical cancer is one of the common malignant cancers among females. It is the only cancer that with known cause. That is human papillomavirus(HPV)，which can spread directly through dermal contact and has an incubation lasting for more than ten years. Cervical cancer is preventable and detectable. Learning about cervical cancer symptoms and undergo screening regularly can help discover cervical cancer and take up treatment as early as possible. Experts from Modern Cancer Hospital Guangzhou remind that, if you have above symptoms, go to the hospital timely for examination and treatment.